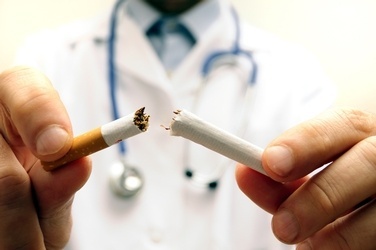 “Commit to Quit” is a smoking and tobacco cessation program provided by Cardiovascular Institute of the South. If you or someone you love smokes or uses tobacco and wants to quit, then “Commit to Quit” can help you successfully kick the habit. Call 1-877-288-0011 or visit Cardio.com/QuitSmoking. Current trends show that tobacco use will cause more than 8 million deaths annually by 2030. Secondhand smoke costs more than $10 billion (i.e., health care expenditures, morbidity, and mortality). Breaking free from nicotine dependence is not the only reason to quit smoking. Cigarette smoke contains a deadly mix of more than 7,000 chemicals; hundreds are toxic and about 70 can cause cancer. Cigarette smoke can cause serious health problems, numerous diseases, and death. Fortunately, people who stop smoking greatly reduce their risk for disease and premature death. Although the health benefits are greater for people who stop at earlier ages, cessation is beneficial at all ages.